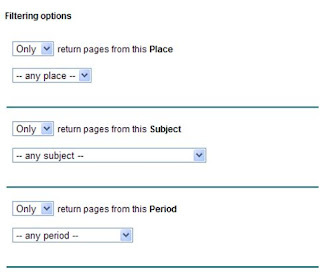 Not a single user from our interviews even acknowledged the existence of the places, subjects and periods filters in the advanced search form. 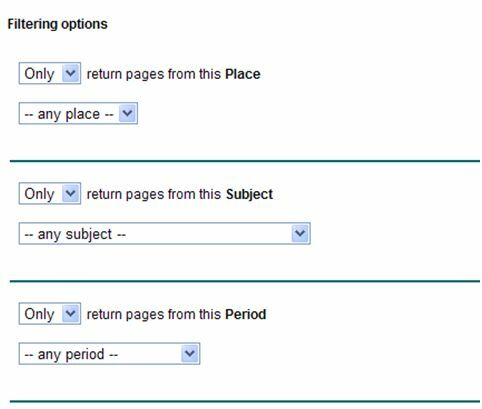 That was surprising as they all had to circumnavigate them to get to the source and publication filters which they did use. All users employed filters on searching –but not one of them was for place, subject or period. 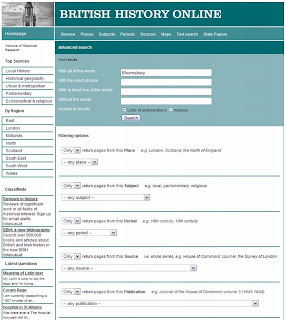 You are searching for the place 'Bloomsbury' – click where you would expect to add a filter to only look in volumes from the series 'The Survey of London'. 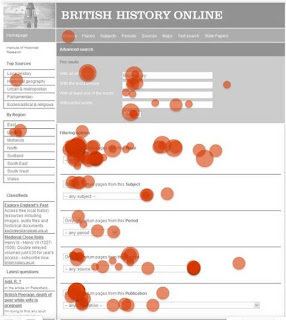 Appended extra descriptive text for filtering options (advanced search on British History Online). Small but noticeable grouping under the new correct function (located in the second to last row) - however, still plenty of clicks for the first filtering row which was for all resources related to London rather than the specific source called 'The Survey of London'. 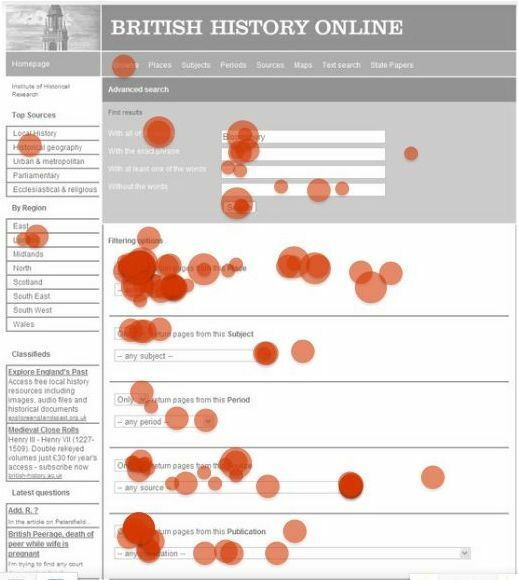 I wonder if the wording of the question, which accentuated 'ONLY' led some users to click on the 'Only / Don't' drop down list at the head of each filter. Given Issue 1, can't help feeling that the form is trying to do too much simultaneously. 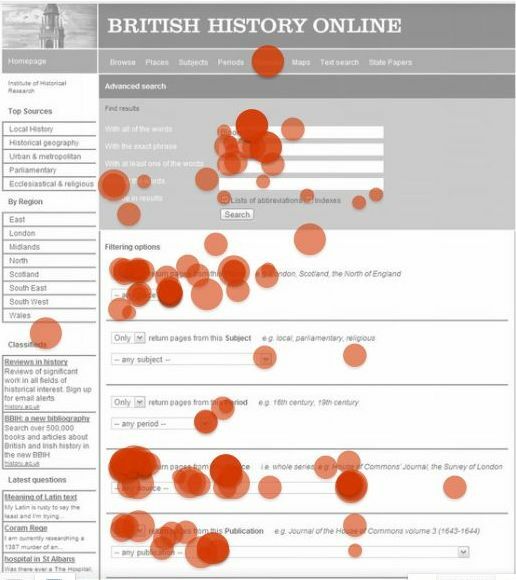 I need to research complex forms used elsewhere (e.g. popular e-commerce) and see if a new approach comes to mind.